Hannah is a native of Jacksonville, and her family has lived here for three generations. 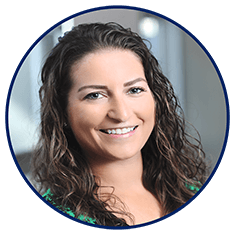 After graduating from Florida State University with a dual degree in Finance and Marketing, she went on to complete her Masters in Business Administration at the University of North Florida. Her education and experience have taught her how to strategically approach situations and ensure she handles them efficiently and effectively. Her passion for mortgage lending brought her to Bank of England Mortgage, where she and her team share a vision of providing exceptional customer service by utilizing extensive product knowledge to guide each client through the mortgage process. In her experience, no two transactions are the same. Therefore, she takes time to cultivate relationships based on trust and transparency, in an effort to tailor her assistance to fit her clients' needs. Her goal is to make a seemingly overwhelming decision less daunting and more rewarding. She is personally invested in meeting the goals of both you and your family and look forward to making your dreams a reality.